Welcome! Today, I share with you a Christmas Tradition that I love and treasure. It's The Christmas Pickle Tradition. This tradition as been around for over 100 years. It is share amongst families every year around Christmas. The Christmas Pickle Tradition is a wonderful holiday story and that reminds us all about the true spirit of Christmas. 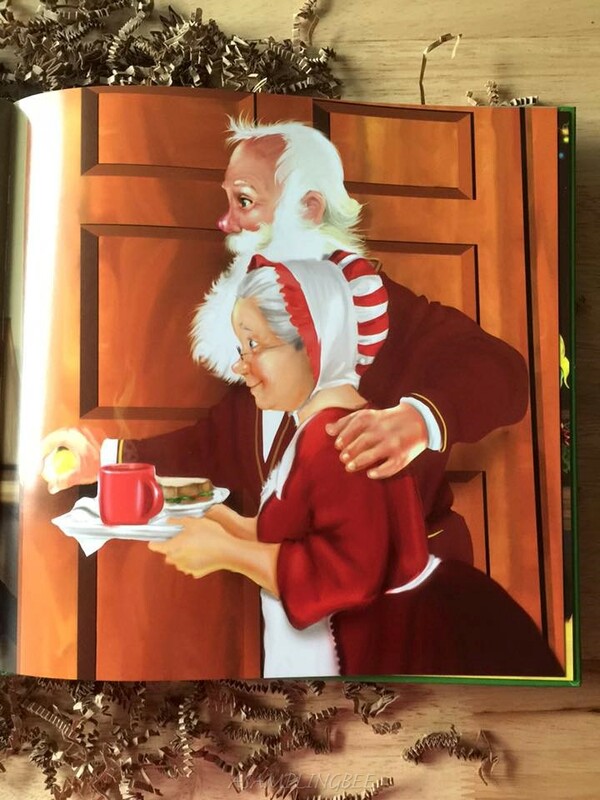 Follow the journey of Pickle Elf as he learns the magic of giving, and inspires Santa to begin this wonderful Christmas tradition. Legend says that the first child to find the Christmas Pickle on Christmas morning gets to open the first gift. The child(ren) leave the Christmas Pickle out for Santa next to his milk & cookies and Santa will hide the pickle on your tree. Not only does the child get to open the first gift, but it is an extra gift from St. Nick! Start a new tradition with your family this year! Including this Christmas Pickle, we have 5 hanging on our tree. My sons are aged 3 and 11 months so it was only until this year where my 3 year old started to get into this tradition. He has me read this book to him almost every day. We are excited to leave our Christmas Pickle out for Santa on Christmas Eve! I cannot wait for Christmas Morning! The book is 32 pages long. Those pages are beautifully illustrated. 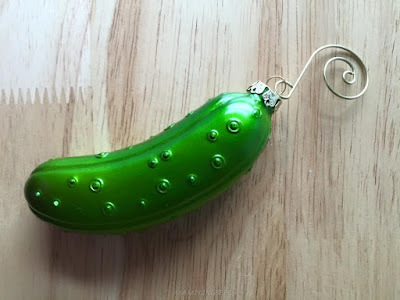 I love the idea of the Christmas Pickle because it bring fun and excitement to Christmas. And, it shows children what Christmas is all about! This gift set is something that every family should have! 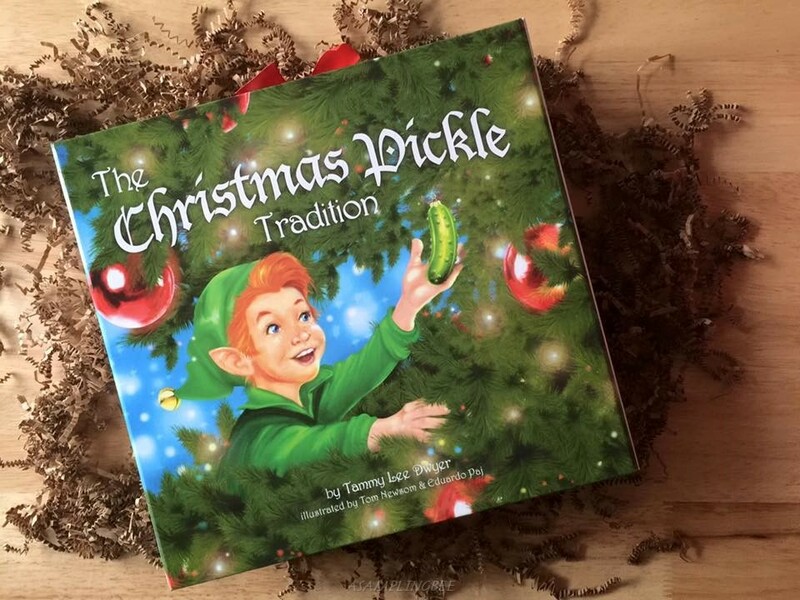 The Christmas Pickle Tradition: author of The Christmas Pickle Tradition, Tammy Lee Dwyer, saw a need to formalize the tradition when she and her son went in search of a storybook explaining the tradition of hanging a pickle ornament on a Christmas tree. The long-loved ‘PICKLE’ tradition is now available in a gorgeous gift set for families to cherish year after year. This gift set comes with one book, one Christmas Pickle and an annual pickle finder chart! All in a ready-to-go gift box! Which makes for the perfect gift. Disclaimer- I received this product in exchange for my honest review. All opinions are my own. Always!